That second Snow White movie is finally here! "Snow White and the Huntsman" is a darker take on the classic than its Tarsem Singh-directed counterpart, "Mirror, Mirror." However, both films feature hunky blonde-haired, blue-eyed actors (i.e. Chris Hemsworth and Armie Hammer). 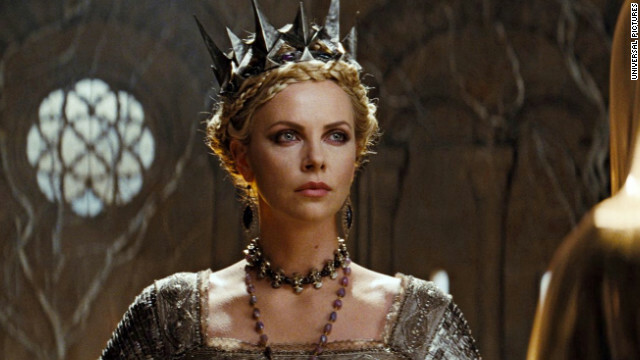 And we can't deny the chills we get from seeing Charlize Theron as Queen Ravenna in the "Huntsman" promos. So, if you'd like to compare the two flicks (or just see Kristen Stewart in a non-"Twilight" role), you can catch "Snow White and the Huntsman" in theaters on June 1.